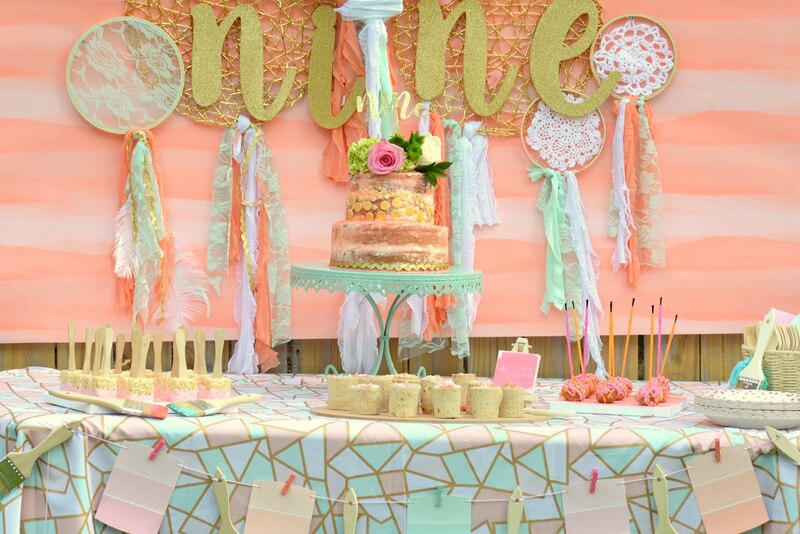 I had the best time designing items for this party. I absolutely love all things Disney, especially Minnie Mouse! 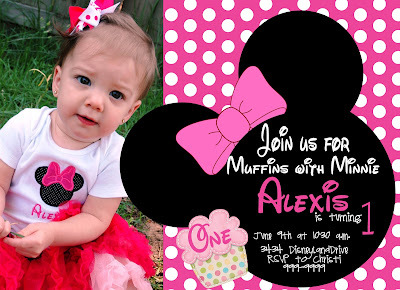 My friend Christi was looking for a fun theme for a first birthday for her little girl Alexis. 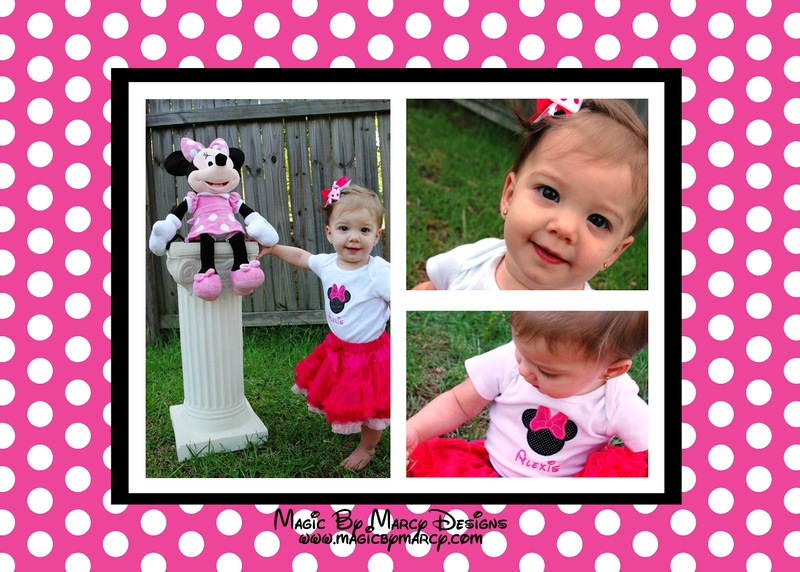 She adores all things girly and loves pink, black and white so Minnie was the perfect fit. They were gorgeous! 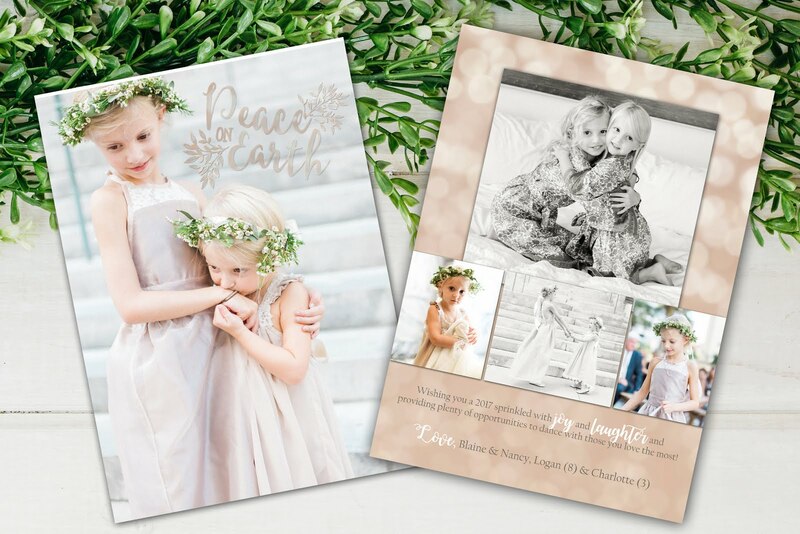 The metallic paper made the design POP! 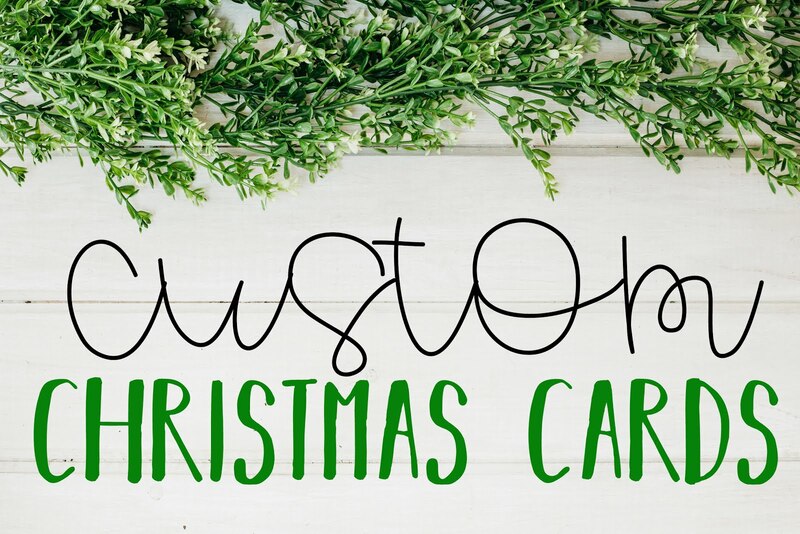 I also have several other products like birthday banners, favor tags, iron on transfers for onesies or shirts, bag toppers, stickers, water bottle label designs. If you can print it I can design it for you! Christi did such a great job with the decor. She had the party in the morning so she had breakfast items to eat, fruit, muffins, pigs in a blanket. She also had the cutest Minnie Mouse bowl she found at target with mini Oreos and regular strawberry filled creme Oreos. The cake was done by our local friend Marilyn Gingerich. She has done all of my parties for sometime now. She takes my invitations and designs a cake from them. She is amazing! The cake is always so delicious! I just couldn't believe how well she mad the Minnie head topper...everything was cake! She made Minnie topiaries using styrofoam balls she spraypainted black.She attached an adorable pink polka dotted bow and anchored them into metal pails. She used her Cricut machine to make some polka dots for the pail. For favors Christi decorated sugar cookies using royal icing. She lined them with polka dots and did a large A for Alexis in the center. She used bag toppers I designed to top her bags. She also had Minnie hats and party horns for the kids too! Christi made a super cute Hat for little miss Alexis to wear while eating her birthday cake. 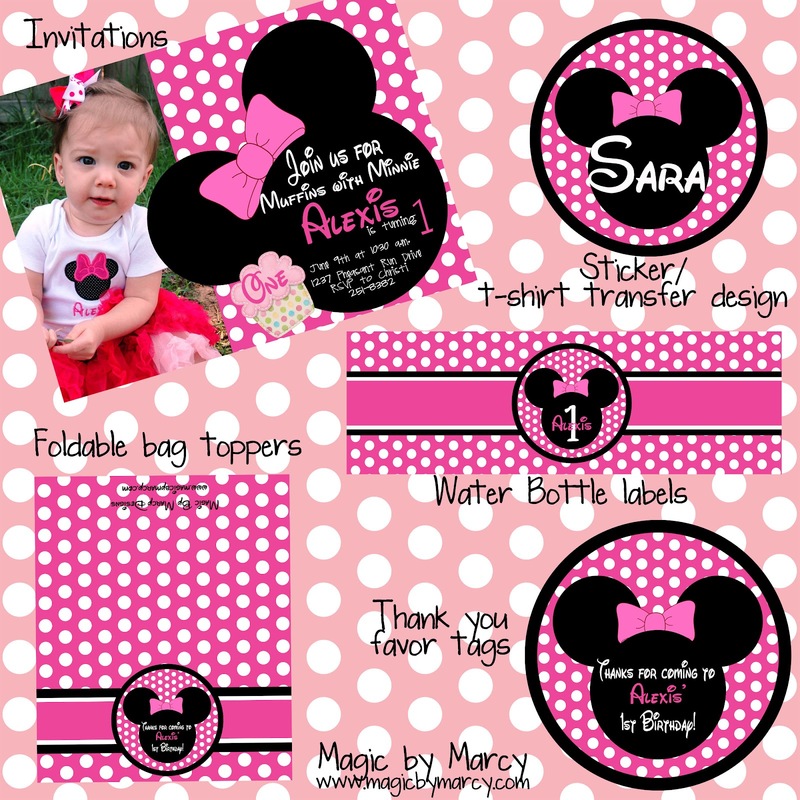 She used pink polka dotted scrapbook paper embellished a cutout of a 1 with rhinestones and added some black trim to the top and bottom. It was so adorable! This might have to be for Caroline.